Brand USA recently released its second annual ROI study, conducted by Oxford Economics. The study once again demonstrated Brand USA’s success in driving incremental impact to the U.S. economy. Since its creation, Brand USA’s marketing efforts have attracted over 2 million incremental visitors who spent $6.5 billion directly with an overall impact of nearly $15 billion. This additional visitor spending has generated nearly $2 billion in federal, state and local tax receipts and supported an average of 50,000 incremental jobs per year. The first ROI study of fiscal year 2013 utilized a counterfactual econometric model to measure Brand USA’s inaugural impact. Because the launch of the brand was by nature a one-time occurrence, the first study treated the first marketing campaigns as an event. In 2014, the methodology was adjusted to reflect continued operations rather than a launch. Despite the transition, key indicators of the study remained consistent, including competitive market share and consumer response to advertising. As one might expect, the ROI Brand USA achieved in emerging markets was stronger than in mature markets. 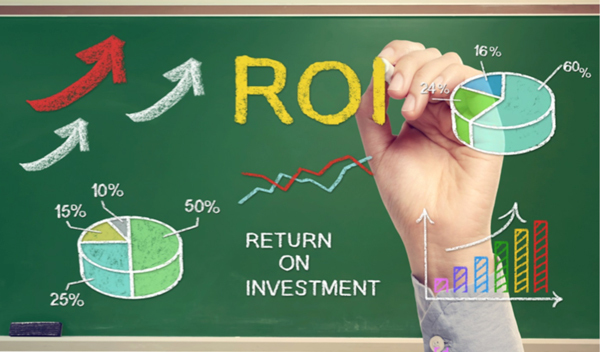 One foundational driver of the different ROI is the average spend by market. As Figure 1 shows, visitors from markets outside of North America and Europe spend more than twice as much per trip at $5,254 compared to $1,923. The difference in spend, however, is not the only driver of the difference in return. In the inaugural year of the campaign, much of the advertising was concentrated in mature markets like Canada and the U.K. Naturally over time, advertising creative’s effectiveness deteriorates, and these mature markets were therefore first to demonstrate fatigue. While ROI is a vitally important measure of performance, it is not the only factor considered in determining market investments. Brand USA optimizes spending based on ROI to some extent, but mature markets will continue to retain a significant portion of investment due to the nature of Brand USA’s responsibility to market all destinations in the U.S., including “beyond the gateway” destinations. While new visitors tend to visit gateways, repeat visitors from mature markets are the most likely to visit smaller destinations. Optimizing on ROI alone would not allow Brand USA to effectively meet one of its key responsibilities of marketing all states and territories. For more information regarding Brand USA’s market prioritization and strategies, please refer to the Brand USA 2015 Business Plan.